I'm determined to make game night a priority this year. I feel disappointed at the end of the week if I didn't get to play anything, and that led to a lot of disappointment in 2010. I've already made all of this clear in my New Years resolutions, though. So far, we've had game night every week in 2011. That's right. We're one for one. I consider it a winning streak. 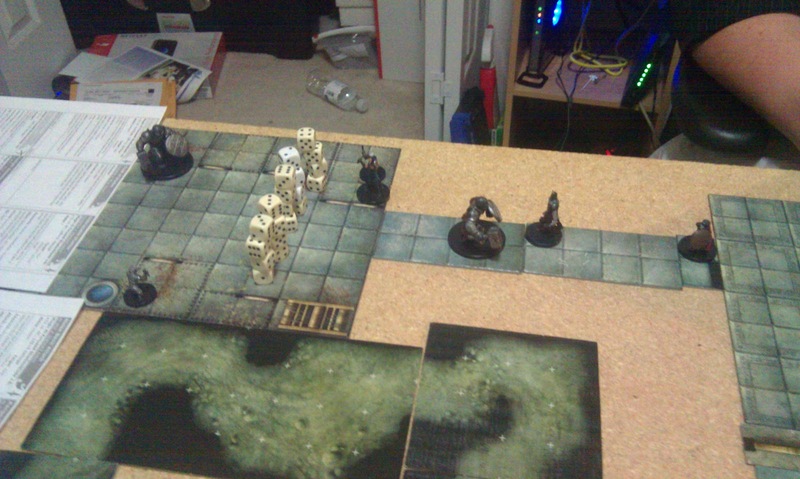 And the first week of 2011 was actually the second game night in a row, a first since September if I remember correctly. I feel like celebrating... and I think I'll do so by posting a few pics of our last session. The second fight took just as long, but was much more interesting because of the tactics the party used to win. 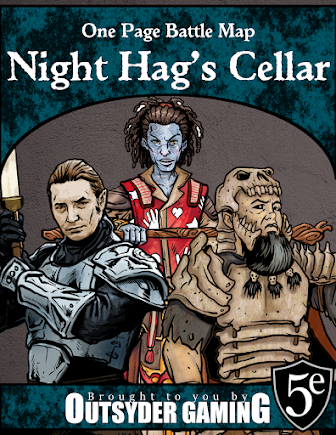 They stumbled into a prison, with duergar holding a pair of svirfneblin captive. Sithis, the duergar avenger/invoker, conjured a wall of blades in the middle of the room that cut the enemy forces in half. 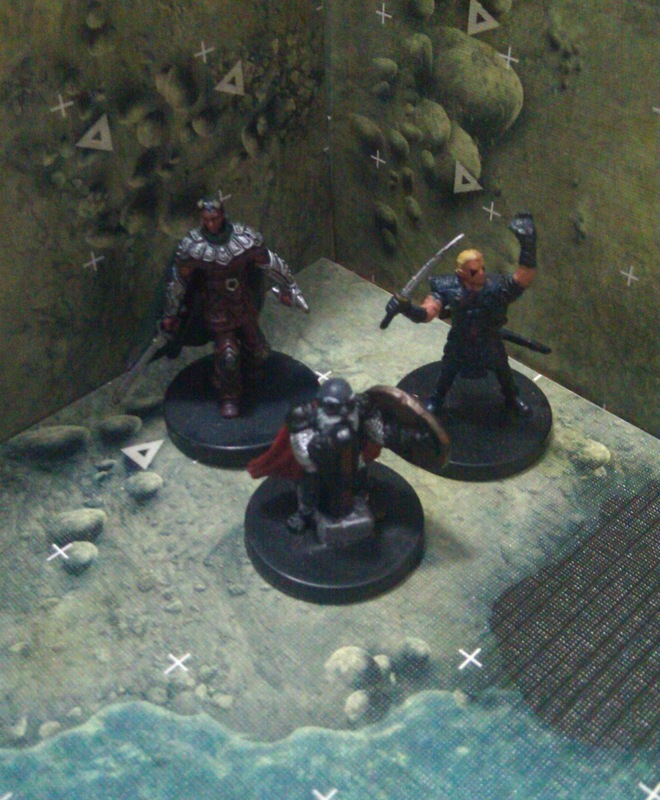 The party destroyed the duergar without sustaining many injuries at all, as they used a combination of pushing and sliding powers to make sure their opponents "encountered" the wall of blades as often as possible. When only one duergar remained, he fled back into the sewers, and as the party pursued, they realized why the outmatched duergar hadn't fled sooner. 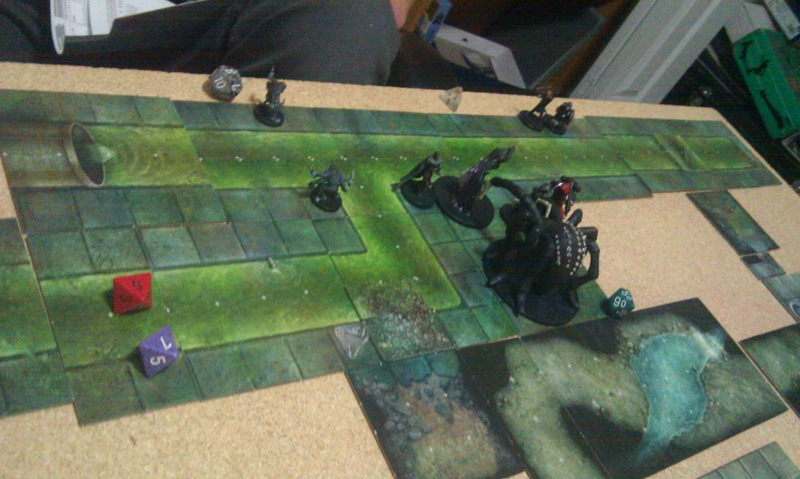 The fleeing duergar, though he died in the process, led the party into a nest of giant spiders and chitine! Careful observation might reveal the Blood Angel in this picture... he's a placeholder for my brother's Blade Angel power.